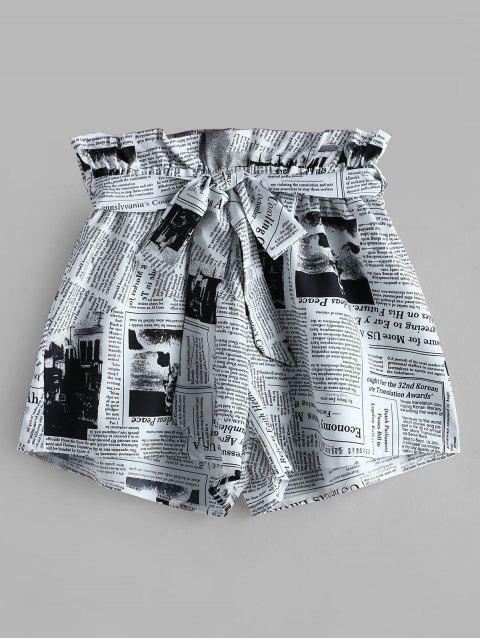 [30% OFF] 2019 ZAFUL Newspaper Print Belted Loose Shorts In WHITE | ZAFUL ..
Super cute shorts, but not as oversized as I was hoping. The band at the top looks very oversized but awkward compared to the bottom. Would probably work better for someone with a smaller booty & skinnier legs. I’ve got 40in. hips and I am 5’8” tall and I ordered a large. Lovely silky material, really cool. 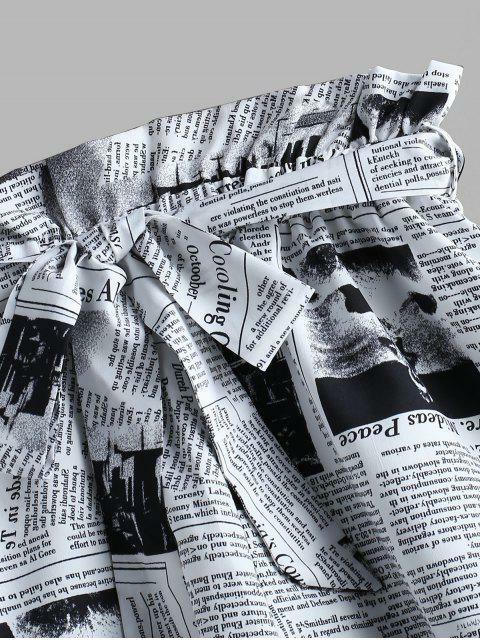 The trendy, casual shorts are making a fashionable chic statement. 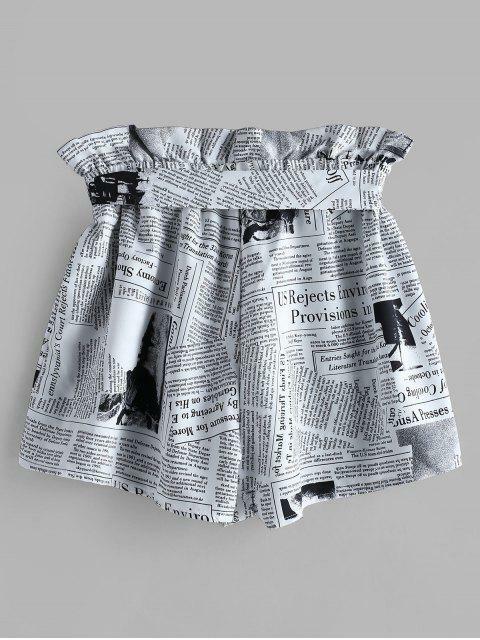 Featuring a flattering high waistline with pretty ruffle trims, it is also stunning with the funny novel newspaper printed pattern and a loose wide-leg silhouette which offers a comfortable fit. The coordinating belt tying at the waist adds a modern feel.